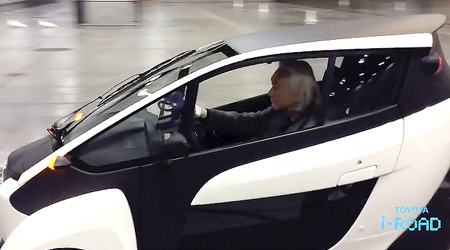 Dr. Michio Kaku made a special appearance at the world famous 2015 TED Conference in Vancouver, Canada yesterday, as the invited guest of TOYOTA. Kaku’s visit started not at a lectern, but at the wave of a checkered flag, as he took the wheel at TOYOTA‘s I DROVE i-ROAD exhibit. The i-ROAD is a new concept in urban mobility that combines the potential of both cars and motorbikes with next generation performance in terms of driving, size and environmental performance. The evening culminated in a themed VIP event, presented by TOYOTA, entitled ‘HOW WE’LL LIVE IN 2100’ featuring a private talk by Dr. Kaku, accompanied by a special dinner prepared by food futurist and celebrity chef, Richard Blais. 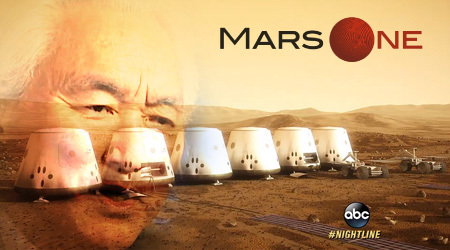 Go to Dr. Kaku’s Official Twitter for more. Ready to see Dr. Kaku take the i-ROAD for a spin? WATCH NOW! ONE-WAY TICKET TO MARS: WOULD YOU GO? If you could be among the first human beings ever to step foot on planet Mars, would you go? Before you answer, there’s a major catch: the trip is strictly one-way. Still interested? Then there might be a future for you in space exploration AND reality television… Mars One, a controversial and widely criticized Netherlands-based non-profit company led by Dutch entrepreneur, Bas Lansdorp, plans to land the first humans onto Mars and establish a permanent human colony there by 2025. Bootstrapped by a crowdfunding campaign and reality TV pitch, Mars One is recruiting volunteer amateur space enthusiasts to take the plunge. Would you take your own ‘giant leap’ against-the-odds on a no-way-back ride to the red planet? Would you leave behind all your earthly attachments to join this unproven ragtag group of true believers? Dr. Kaku encourages you to decide for yourself after you’ve seen the full story on video. WATCH NOW!